Article originally appeared on Curbed Atlanta. The holidays are in full swing, which means the Atlanta region is bursting with events and attractions that celebrate the season. Parades, light shows, tours, and pictures with Santa are just a few of the many celebrations taking place in the coming weeks. Of course, there’s no way to spotlight every single ho-ho-holiday happening, but this map is certainly a good place to start when planning your own festive itinerary. 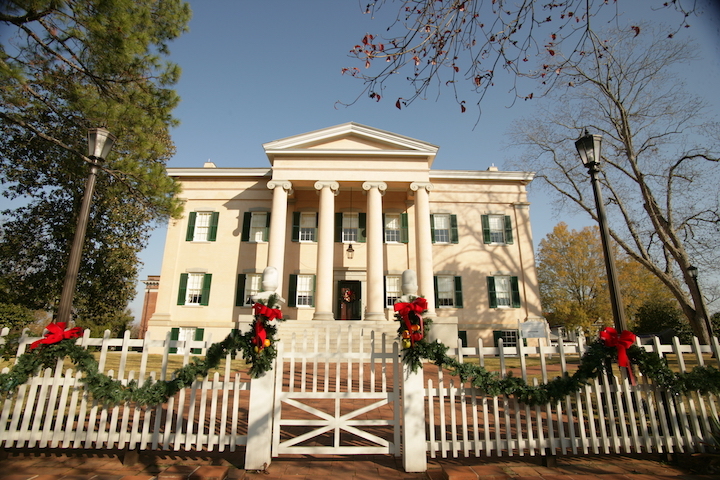 In one of Georgia’s former capital cities, take a turn through two of Milledgeville’s most notable homes to see them dressed for the holidays. Through December 21, tour the Old Governor’s Mansion to see how the state’s elite celebrated the season in a bygone era. Tickets are $10 per person, $7 for seniors and pre-booked tours, and $2 for students. On December 8 from 10 a.m. to 4 p.m., take a guided tour at Rose Hill, one of the state’s best examples of Greek Revival architecture. Tickets are $3 per person.